Samsung is filling a lots of Smartphone option in Middle low range, Now in this list another smartphone Samsung Galaxy J5 Prime is added we have pointed some of the crucial Pros/ Advantages and Cons/ Disadvantages. It is newer version of Galaxy J5 (2016) but there are not so much features up-gradation, even we have noticed some feature are kicked out from this new device. It has 5.0 inches HD display, Exynos 7570 Quad-core processor, 13 MP Primary | 5 MP Secondary camera, 16 GB Internal | 256 GB External SD card support, 2 GB RAM and 2400 mAh battery. When you hold J5 Prime in your hand it looks a premium handset with stunning built quality, Galaxy J5 2016 was missing the fingerprint sensor but this device has quick responsive fingerprint scanner. The full metallic body with slightly rounded corner feel compact and slippery as well so it is better to cover it. When we comes to the fictional spots the Volume keys placed on the left edge and power key on the right. Bottom includes USB Slot and a whole 3.5 mm Audio jack. Samsung made AMOLED display a key marketing feature and even in very entry level smartphone they have fitted it, But they have released J5 Prime with PLS TFT capacitive touchscreen, It is not vibrant and neat as sAMOLED display, but whenever you will look your media content in the phone it feels pleasant, even in outdoor Sunlight condition if your brightness level of phone is maximum there is no visibility compromisation. For the snapping pictures it act like budget phone, You can take beautiful pictures in balance lightning condition but the struggle for quality increases as the light on the subject getting poor. The 13 MP primary camera is slightly above average. You can record videos in Full HD resolution with 30fps. 5 MP front snapper doing job quite nicely, if you are selfie person secondary camera is not going to disappoint you. Samsung installed their own manufactured CPU in this handset, This device comes up with Exynos 1.4 GHz processor. This chipset along with 2 GB RAM perform all day to day tasks well and gaming is also comfortable if you are playing average games like Subway Surfer, Temple Run etc. It is obvious that the Entry level Exynos CPU can not handle the Graphic intensive games. This handset is not for you if you are heavy gamers however it can handle multitasking most of the time without any trouble. Most of the buyers nowadays are well aware of the battery capacity because it play most crucial role, This Smartphone has 2400 mAh capacity battery. it is unfair that J5 2016 version comes up with 3100 mAh battery but J5 Prime has only 2400 mAh. However S Power Planning will help to optimize the phone so it can easily stand for full day for a mediocre user. OTG Cable is supported to transfer your data. Dual SIM support with dedicated slot for the Memory card. Full metallic body with compact built. Battery can't be removed manually. No sAMOLED Disply even it is decent priced phone. Only Limited 2400 mAh capacity battery. No gyroscope and Ambient light sensor. No NFC and FM Radio. 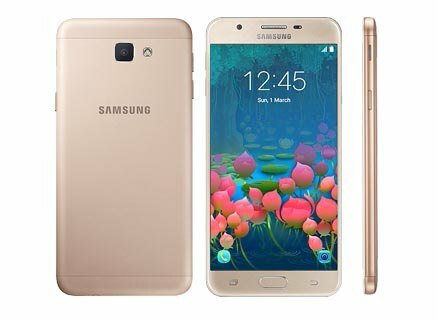 Galaxy J5 Prime designed for the people want to own a decent 5.0 inches Samsung Smartphone with Fine metallic compact design, Above average camera, good performance for day to day tasking under the affordable range. Although we will not suggest this smartphone to heavy gamers and Photo enthusiastic people. They can go for the Samsung Galaxy J7 2016 and Moto G4 Plus Or you can also check latest Mobile phones in India.